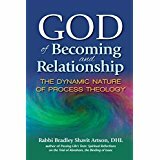 God’s omniscience assumes that God knows everything, including the future as well as present and past. But for God to be all-knowing makes real freedom impossible; if God know the future absolutely, then there is no real freedom for God or for humans and other creatures. God’s perfection means that God is eternally unchanging. But for God to be perfect and unchanging, God has to be beyond time and outside of space, untouched by events in creation, or affected by the choices we make. Text Study: If you re-read the book of Genesis now (after reading Artson), what kind of God would you find? In my opinion, God is all that is described as omniscient, omnipotent, omnipresent, ubiquitous, perfect. But we grow to understand God and God’s actions better and better as the ages pass. God may be static but our understanding is not static. One of God’s virtues is to be an agent of change. It is not God who makes mistakes; it is ourselves.